A companion piece to the 2018 Club Member Sweet Santa. 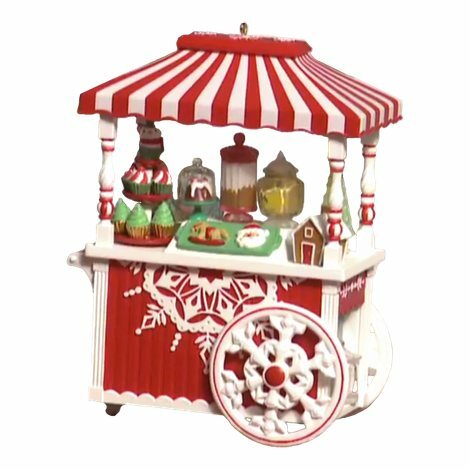 Sweet Treat Cart is a collaboration from the entire Keepsake Studio. 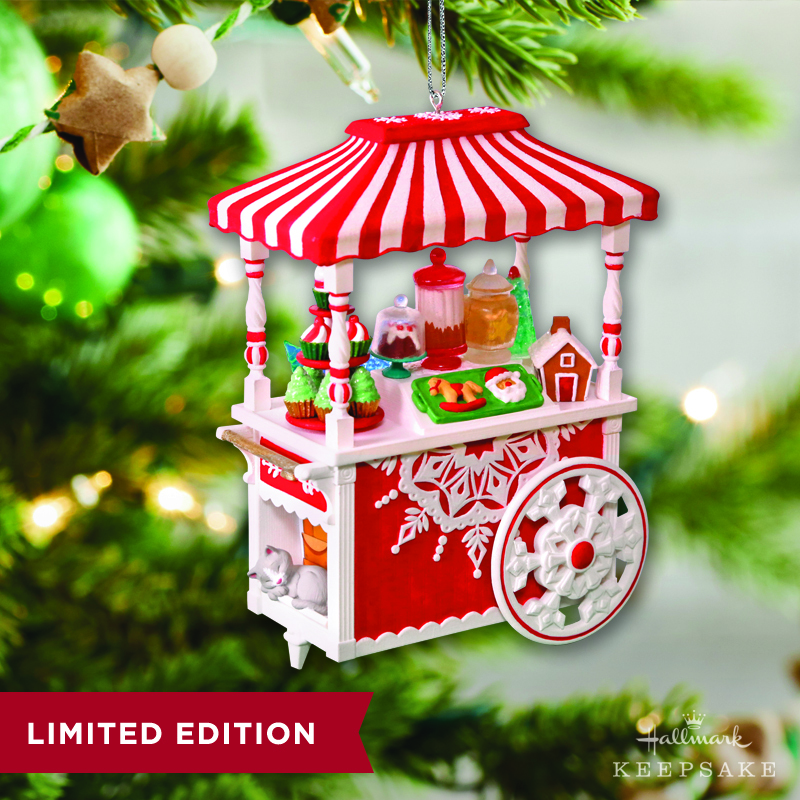 EVERY Hallmark Keepsake Artist participated in the creation of this special event ornament - each one loves to add his or her own special touch! 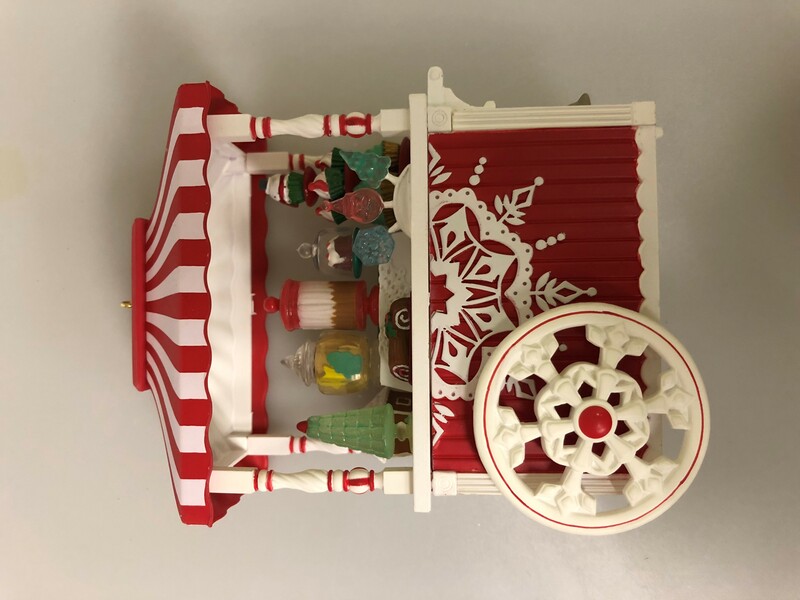 I love the ornament and I think, once I do a bit of repair, it will be perfect. One little piece needs to be glued back on and I think I am pretty sure where it goes. A plastic part that looks like apothecary jars was loose in the clear shell and there seems to be only one place where it will fit. I have purchased some new glue to use for the repair so it will go smoothly. This is the reason for only 4 stars on an otherwise, a really cute 5 star ornament.